The latest snapshot of the American economy was released on Friday. The Labor Department’s official hiring and unemployment figures for November show that 228,000 jobs were added last month. The number beat the estimates of Wall Street economists, who had expected an increase of about 200,000 jobs. The American job market is the strongest it’s been in a decade. The United States has now added jobs for 86 consecutive months. Employers are on track to add about two million jobs in 2017. November’s growth brings the 11-month total to about 1.91 million jobs this year. Employment growth has averaged 174,000 per month thus far this year. The rising popularity of e-commerce has created numerous jobs in warehouses and at delivery services. The transportation and warehousing sector added 10,500 jobs in November. 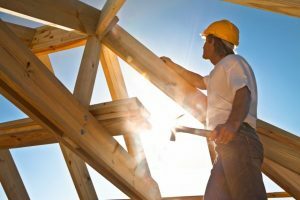 Construction posted job gains of 24,000 and a total of 132,000 for the year. While job growth has gradually slowed since 2014, hiring remains remarkably steady. The labor force participation rate has been edging up in recent years, suggesting there is a wealth of job opportunities available. However, many companies are reporting that hiring is getting harder. The unemployment rate was unchanged from October at 4.1 percent, the lowest rate since 2000. Wage growth is showing signs of picking up. Average earnings are up 2.5 percent over the past year. Most economists expect wage growth to pick up as unemployment falls. Congressional Republicans are on the verge of passing a $1.5 trillion tax cut plan, which economists expect to provide at least a modest lift to the economy. Next week, the House and Senate will start to reconcile their tax bills in a bipartisan conference. It would be the first massive tax package to pass in decades. However, a tax cut could lead policymakers at the Federal Reserve to raise interest rates faster than planned if it pushes up inflation. Those policymakers have already signaled that they plan to raise the benchmark interest rate at their meeting next week. Economists expect the Fed to raise rates three times in 2018. According to the Commerce Department, the U.S. economy grew at a 3.3 percent annual rate in the third quarter. That was the fastest pace in three years. Economists are forecasting yearly growth of 2.3 percent for 2017 and 2.7 percent in 2018.